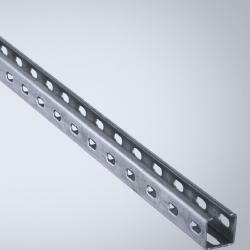 This mounting rail can be cut to size and is ideal when components are fixed with sliding nuts. Installation profile with and without 25 mm hole pattern. Add GLM sliding nuts for easy installation of components.